a meeting place for people who love getting away, culture, nature, music and the written word. The hotel offers a comfortable, peaceful getaway experience for couples and families, together with close proximity to all the main attractions of the Upper Galilee region, including Lake Hula, Manara Cliff, Mt. Hermon, wineries, museums and motor sports. The Pastoral is more than just a hotel in the north; it is a whole world of culture and exhilarating experiences. Discover the events we have planned as part of our 17th Cultural Season, together with the wealth of benefits and special offers that await you throughout the year, both on our website and through our reservation center. The moment you step into one of our rooms, you’ll feel like your holiday in the north has truly begun. Set within green spaces among gardens and flowers, our spacious rooms and suites are decorated in a Tuscan style. 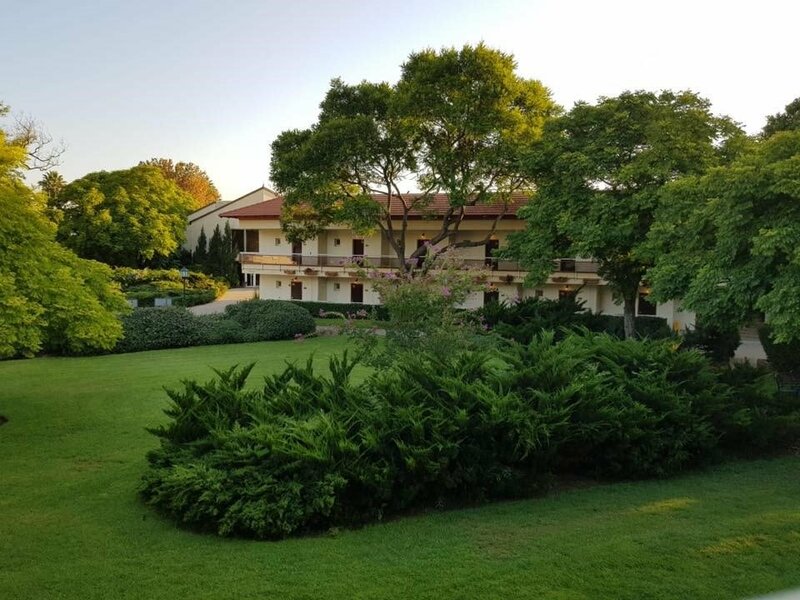 Our two-storey buildings enhance your enjoyment of the natural setting, with magnificent views of the Galilee and the Golan Heights. A hotel in the north is not just about getting back to nature. At the Pastoral Hotel, body pampering and opportunities for spiritual growth complete the perfect holiday experience. We invite you to step out of your routine and entrust your body to the soothing hands of our beauty therapists. Our spa offers dozens of body and cosmetic treatments, in a quiet and comfortable space featuring unique relaxation facilities. Embark on a pampering journey that restores both energy and calm to your body and mind. Our magnificent Opera Hall is one of the most modern and advanced of its kind. With a further eight meeting spaces, it forms the focal point of a campus for conferences, events and performances, offering a variety of flexible solutions to suit groups of different sizes. Escape the obligations and responsibilities of everyday life, and instead focus on feeling inspired and completely detached, hosted by our welcoming, experienced team. Leave your home, leave the city, leave the overcrowding and the pressure, and head towards the quiet tranquility and open expanse of the Upper Galilee. Seek out a little culture. Breathe in a little music, a few words, a touch of theater. Simply lean back calmly, and let yourself just ‘be’. Whether you are enjoying a couple’s event or a family packages - the essence of the Pastoral Hotel experience is the embracing of culture, tranquility and serenity, well-kept green spaces, hospitality that brings peace of mind and generous staff who simply love to host. The phrase ‘vacation in the north’ calls to mind images of greenery, water, clear air and breathing space. For us at the Pastoral Hotel, this is simply not enough. The hotel itself, our meticulously selected program content, and the staff and managers who work day and night all combine to create a first-class hospitality experience, where nature, relaxation, renewal and elation are brought together within the Israeli cultural and musical experience.